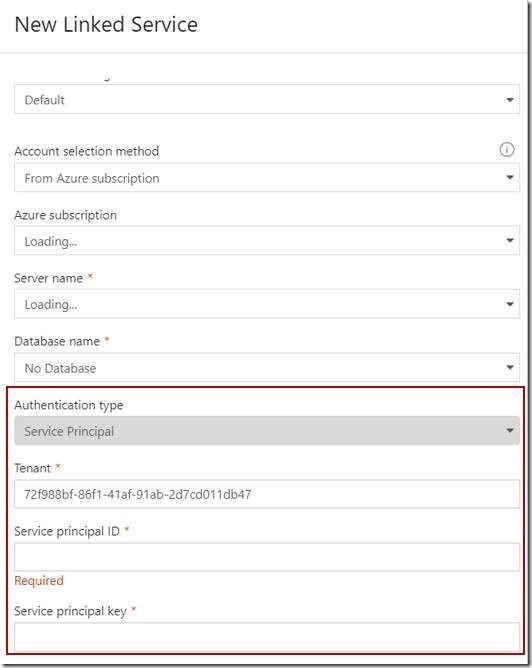 Azure Data Factory V2 now supports Azure Active Directory (Azure AD) authentication for Azure SQL Database and SQL Data Warehouse, as an alternative to SQL Server authentication. 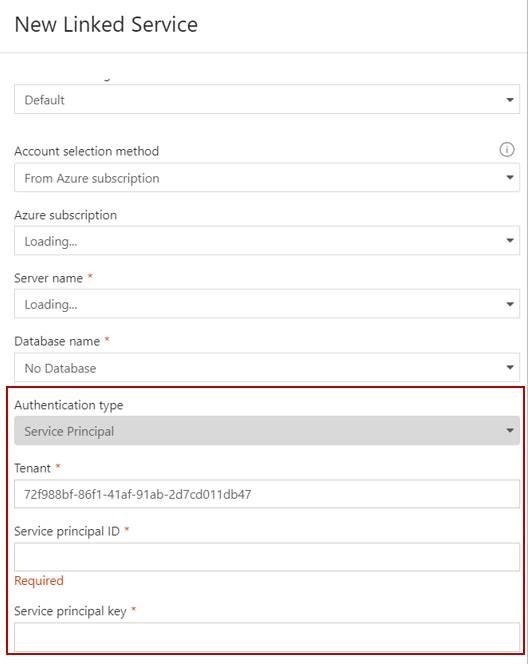 Two modes of Azure AD authentication have been enabled. For prerequisite steps, see the following ACOM links.